Are you planning to pursue your studies in Canada? You can now apply for a Canada study permit visa. Pursuing education in a different nation is really a great experience. Amongst all the nations globally Canada is enormously a well-accepted choice for most of the students. The majority of the abroad students prefer to study in Canada due to its outstanding teaching facilities that are accessible in their universities and their high standard of living. This nation is the home for the world’s best research facilities and scholarly institutions. In order to apply for this study permit visa, the candidate needs to be accepted by a recognized Canadian school, college or university. Once they acquire the letter of acceptance, they are now eligible for studying in this country. 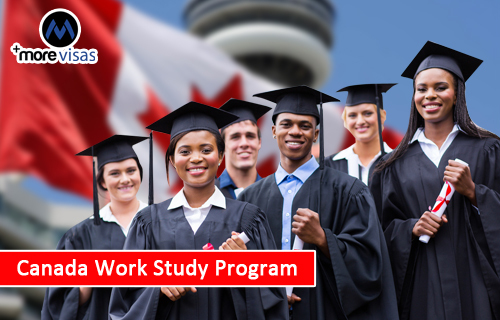 A Study Permit is a certificate granted by the (CIC) Citizenship and Immigration Canada that permits an overseas individual to study in Canada. If you are a potential learner then you first need to fix on what kind, of course, you wish to pursue and decide which institution suits the best according to your study. The admission to one or more schools has been gained at once, you can apply for a study permit and, if required, a (TRV) that is a temporary Resident Visa may be needed if you are a resident of a nation from which (CIC) requires TRVs for entry into the country. Prior to applying for this visa, it is essential to keep in mind that CIC may need you to undertake some medical examinations. Once the candidate reaches their destination, they need to retain their study permit visa and gain a work approval. You must also stay registered and make sensible and appropriate progress towards completing your course. Once obtained a study permit, the overseas students may need to extend or change the study permit during their studies. Based on the course selected the candidate may be eligible to work while studying. A permanent student does not need a work permit visa if they are registered permanently. This visa will by default approves the holder to work off-campus for about 20 hours per week during the classes and full-time during the breaks without the need to apply for a separate work permit. This visa type holder is required to pursue any vocational or an academic or professional training for a period of 6 months or more that leads to a degree, diploma or certificate at an entitled organization. Need a letter of approval from an educational institution in Canada which is recognized by their government. Required to show the evidence of adequate resources that supports your stay in the nation until you complete your study. If you are interested to study in Canada, please fill out our Enquiry Form, so that one of our visa expert will get back to you.